When we travel its nice to be warmly welcomed in our destination. We all like to think that the locals actually want us here. That’s important for a vacation or short business trip but even more so if you’re and expat and looking at living abroad. So we were very interested to see this study on the most welcoming countries. 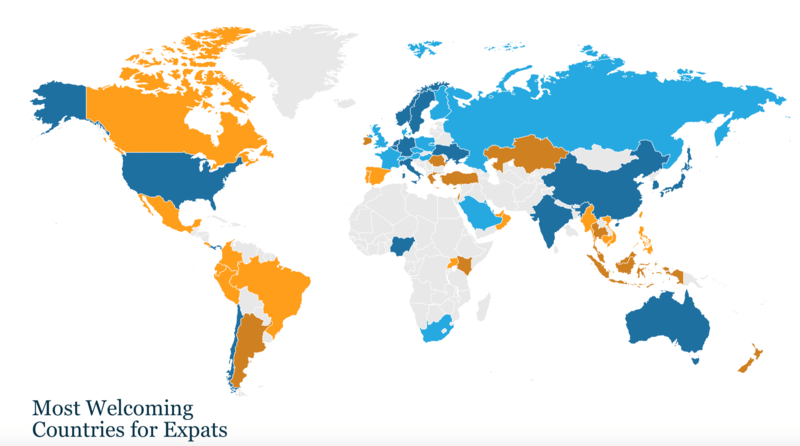 The survey released by InterNations, a global network for people who live and work abroad was done by polling its membership, hailing from over 180 countries, to find out which countries are the most welcoming to expats and travelers. The results hold some surprises. We don’t normally think of Bahrain as being open or inviting but it does rely heavily on foreigners to make up his labor force and provide management services so we think its ranking may be a bit skewed towards expat living versus travel. But the rest of the top 10 countries are renowned for being friendly. And in case you’re keeping score here’s the complete list.